When students succeed in a challenge, it allows them to experience a sense of mastery and competence. If you challenge students to produce the greatest yield of copper sulphate, from identical moles of copper carbonate and sulphuric acid, you will see the power of this approach. Students care passionately about getting every last crystal from their evaporating dish and are not so keen to dry their product! So one purpose of using challenge is for motivation. Another role of challenge is to specifically target prior conceptions. Using strategies like cognitive conflict, we can set up discrepant observations that attempt to falsify naive ideas and ‘hook’ students into wanting to learn more. It just doesn’t make sense for a whale not to be a fish, or for an ice cube to melt faster on a ‘cold’ metal tray! This for me is analogous to a magic trick – the cognitive dissonance of seeing a rabbit pulled from a hat makes us want to know how it worked! I suppose this is again motivation, but with a (hopeful!) twist of conceptual change thrown into the mix. But perhaps the most important role of challenge is to find out what students have learnt and understood. There comes a point in every lesson when we want to challenge students because we want to know what has and hasn’t been learnt and understood. We need to try and make learning visible and probe down into students’ schemata to find out if understanding is sound, or simply a surface-level recapitulation of what has been said with little meaning made. 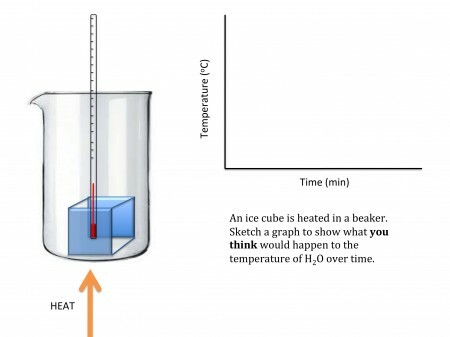 Below are a few examples from the science teacher of tasks that use challenge to diagnose students’ understanding – they look to determine (i) if students have developed sufficient knowledge (ii) are the connections between this knowledge secure so that the knowledge can be applied and (iii) do any misconceptions remain? It’s important to remember that these tasks do not need to resemble the end goal i.e. they are not exam questions or essays – they are simply trying to diagnose by attempting to make thinking visible so that feedback, from student to teacher and teacher to student, can take place. I will leave it to you to see if they work in your classroom! 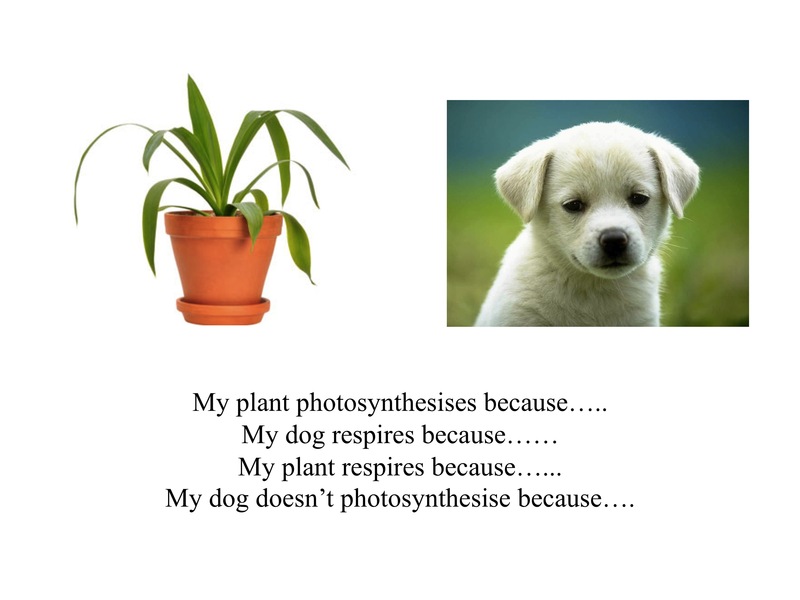 Photosynthesis: what can the green child do? Homoeostasis: what can the two aliens do? One with a nervous system and one with a hormonal system. Particle model: what exists between gas particles? 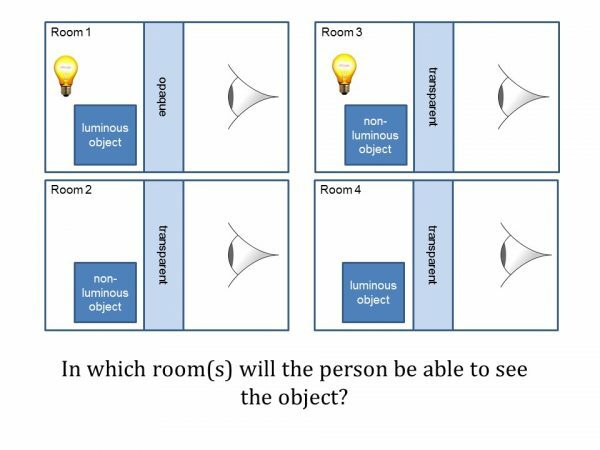 Light: in which room(s) will the person be able to see the object? Another excellent tool for diagnostic science teaching is multiple choice questions. Although they may appear closed and constraining, many have been designed with distractors (plausible wrong answers) that specifically target common misconceptions. They also have the advantage of containing the correct answer and so students and teachers can complete these tasks and receive specific and rapid feedback on their performance. Whitehouse, M., 2012. Embedding assessment to improve learning. School Science Review, 95(351), pp.52-56.